On Nov. 30th, GoPro announced the closure of its entertainment division as well as layoffs for over 200 full-time employees. The company already laid off over 700 employees back in January. This comes on the heels of the Karma recall on Nov. 9th, which sent the company’s first and only consumer drone back to the manufacturer. Rumors of GoPro CEO Nick Woodman stepping down next year are circulating. While a lot has already been written about the drama facing the company right now, there is something bigger going on here than the failure of an individual product. If GoPro wants to find new success, they need to stop acting like everyone needs one. If it seems weird to be reading a critical article about GoPro on this site, that’s because I more or less gushed over the company in an article just over a month ago. I really love GoPro, and I’m a huge fan of how they’ve helped alter the filmmaking landscape. Unfortunately, the changes they’ve shepherded are no longer theirs to profit from, and that’s why we need to look to their past to find where it all went wrong. GoPro began as a waterproof camera for surfers that could be worn like a watch. Once video was introduced in 2006, the company’s sales quadrupled and GoPro took off. Early on, as the company was still being sold to the extreme sports enthusiasts, development was simple because their demographic was simple. Make better action cameras that males in their 20’s and 30’s would want, and that’s precisely what they did. Somewhere, though, the narrative changed. This AdWeek article from a month ago highlights just how broad GoPro’s marketing outreach has gotten. It’s a narrative that GoPro hasn’t been alone in fueling. Outside voices have called on GoPro to expand its reach to the dad demographic and soccer moms for quite some time. GoPro seems to agree, as one of its recent ads in Germany will (via AdWeek) focuses on a father filming his daughter’s soccer game. 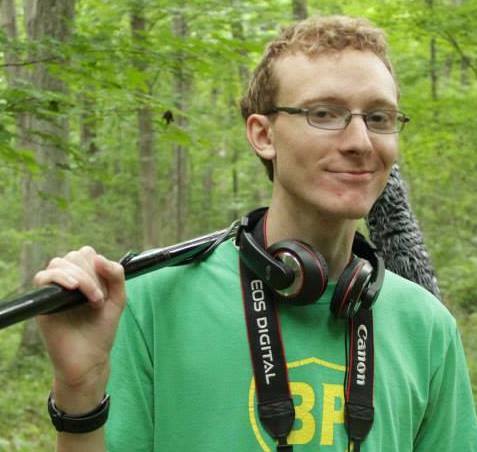 Why shouldn’t GoPro want to reach out to regular folks who want to record their lives? More customers means more money! While that concept is compelling, it’s also completely on the wrong track. When a Google search tells you all you need to know. GoPros are pretty cool. You can make people think that they should own one, but that’s not the same as delivering them a product they will actually use. If smartphones didn’t exist, then the GoPro would be a must-have for capturing life in a home-movie setting, but that dad in Germany has a million more practical reasons to just shoot his daughter’s soccer game on his phone. A GoPro doesn’t make his life better. Any customer that might forget to use their GoPro because of smartphone convenience is not a customer GoPro should be after, and yet that’s exactly the kind of demographic that has guided GoPro stock over the past two years. It’s unsustainable. These customers are upgrading their phones, not their GoPros. They won’t come back. You know who will come back? Extreme sports enthusiasts and athletes who can capture their lives in whole new ways thanks to GoPro technology, drone operators looking to get shots they’ve never dreamed of before, and filmmakers trying to get angles that large, bulky, cameras struggle with. For these folks, GoPro is the most convenient option. There might not be enough of these folks to create Earth-shattering growth year by year, but there are enough of them to feed a company that won’t need to regularly lay off its employees. That’s the important thing. One of the biggest issues facing the Karma even before the recall was that it was late to the drone party, yet it was GoPro’s first drone. DJI and others had already spent years mastering what GoPro was just now attempting and, maybe not so surprisingly, it didn’t go so well. GoPro had an opportunity to partner with DJI on drone/camera technology, there were talks, but GoPro’s financial demands were too high, leading DJI to develop its own cameras. DJI has been producing its own cameras now successfully for a number of years, but GoPro has only just now released its own drone (which doesn’t work). If this seems a bit too much like Monday morning quarterbacking, it’s helpful to note that these concerns existed before the Karma’s recall. Check out this very in-depth article from Droneflyers.com on Karma concerns given GoPro’s history. Drone users are some of GoPro’s happiest customers - the camera was being attached to drones even before the consumer drone boom occurred around 2013 - yet it took three years for GoPro to firmly take a stake in the drone world. If they weren’t going to make their own drone, they should have created a partnership with drone manufacturer like DJI to ensure the GoPro’s dominance in the consumer-level market. 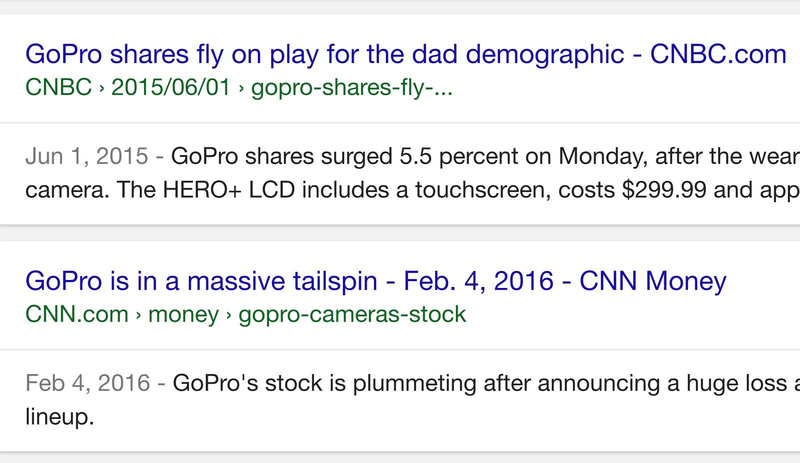 When you’re ready for the “dad” market but not the drone market, and you're GoPro, you’re thinking backwards. The HERO line has always taken advantage of the latest camera trends for the benefit of GoPro customers. From digital video to 360-degree video, the HERO line found success by improving the product for people who will actually shoot with a GoPro. Better image stabilization, improved video quality, expanded streaming capabilities, and progress towards user-friendly 360 capturing and editing are all steps in the right direction (as is a functional drone product). GoPro should retain its trend-setting ambitions, but first acknowledge that no, everyone doesn’t need one.